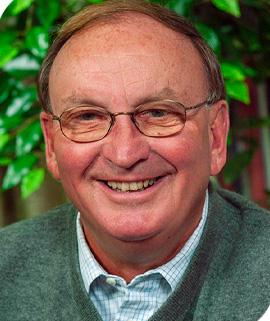 Mr. Johnston has served on the Schwab Foundation board since 2007. A long-time resident of Fort Wayne with nearly 40 years of experience in the banking industry, he is the founder of Corporate & Endowment Strategy, LLC, an organization that advises community banks, endowment and trust services, and insurance-related entities on strategy initiatives and organizational development and growth. In addition to his service on the Schwab Foundation Board, Mr. Johnston also serves as the Chair of the Junior Achievement Foundation, and as a trustee on the Butler University Endowment Foundation. He is the recipient of the 1994 distinguished Leadership Award from the National Association for Community Leadership and the 2007 Butler University Butler Medal. Mr. Johnston holds a B.S. and MBA from Butler University. As recognition for his long time support of Junior Achievement, he participated in ringing of closing Bell at the New York Stock Exchange on March 11 to recognize Junior Achievement‘s 100 year celebration.